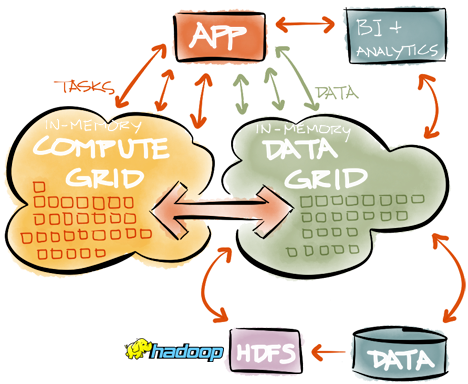 Both, GridGain and Hadoop, are designed for parallel processing of distributed data. However, both products serve very different goals and in most cases are very complementary to each other. Hadoop is mostly geared towards batch-oriented offline processing of historical and analytics payloads where latencies and transactions don’t really matter, while GridGain is meant for real-time in-memory processing of both transactional and non-transactional live data with very low latencies. To better understand where each product really fits, let us compare some main concepts of each product. Splitting tasks into multiple sub-tasks and assigning them to nodes is the *mapping* step and aggregating of results is *reducing* step. However, there is no concept of mandatory data built in into this design and it can work in the absence of any data at all which makes it a good fit for both, stateless and state-full computations, like traditional HPC. In cases when data is present, GridGain IMCG will also automatically colocate computations with the nodes where the data is to avoid redundant data movement. 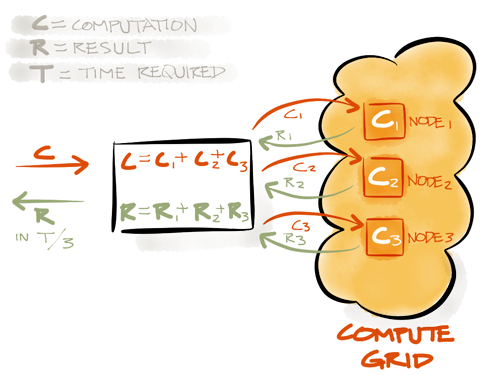 Hadoop Distributed File System (HDFS) is designed for storing large amounts of data in files on disk. Just like any file system, the data is mostly stored in textual or binary formats. To find a single record inside an HDFS file requires a file scan. Also, being distributed in nature, to update a single record within a file in HDFS requires copying of a whole file (file in HDFS can only be appended). This makes HDFS well-suited for cases when data is appended at the end of a file, but not well suited for cases when data needs to be located and/or updated in the middle of a file. 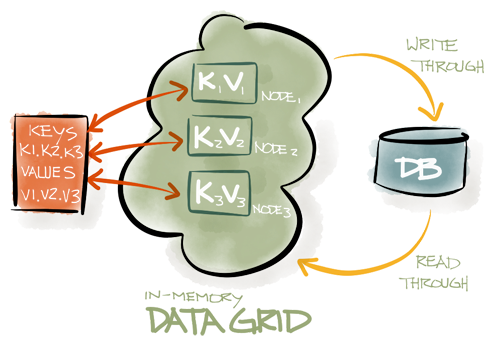 With indexing technologies, like HBase or Impala, data access becomes somewhat easier because keys can be indexed, but not being able to index into values (secondary indexes) only allow for primitive query execution. Over 15 years of experience in marketing and demand creation, with strategies driving over $500 million in revenue for a variety of companies in several high-growth and competitive markets, including consumer software and web services, ecommerce, demand creation through web and search, big data, and now healthcare.